Tony Robbins, in his most recent book, reveals that 96% of actively managed mutual funds fail to beat the market over any sustained period of time. There are of course all sorts of reasons given for their underperformance, but as you’ll learn today, the real reason almost never discussed. Of the 4% that do beat the market during a certain period of time, they are not the same 4% that beat the market the next time around. I’ll explain why this is the case shortly, which is probably the same reason that the vast majority of managers don’t own shares in the funds they manage. In tracking 4,900 actively managed mutual funds awhile back, Morningstar discovered that 49% of managers owned no shares in their own funds, while the remaining 51% owned token amounts when compared to their net worth and compensation. Remember, many of these managers make millions. Even the smartest of investors, those that graduate from Ivy League schools and then launch hedge funds, can’t beat the markets consistently. In fact, they consistently and horribly underperformed. Over the last 10 years, while more and more hedge fund managers joined the Forbes 400 list, their average total returns have been around 10% - not per year, but in the aggregate! That’s 1% per year. The sad reality is that most hedge fund managers, as well as the majority of stock brokers and advisors I’ve met, make their fortunes not from their investment prowess, but from charging fees. Right now, you may be thinking that if 96% of all professionals can’t beat the markets, if even Warren Buffet advises against picking stocks or timing the market, how can you make money? To be sure, there are those who make money consistently, whether in stocks, bonds or in real estate, which I favor because of the low-risk 30% annual gains in equity I have enjoyed for 10 years in a row. Would you take swimming lessons from someone who can’t or can barely swim? I sincerely hope your answer is no. Would you take finance advice from a self-made multimillionaire or someone still working to pay off their student loans? The answer should be obvious, yet many individuals routinely entrust their life’s savings to individuals who themselves have not made money from the very same products they are pitching! If I wanted to box, I would take boxing lessons from Floyd Mayweather or from Mike Tyson, who I saw at a distance during a recent trip to NY. He is indeed a formidable looking individual. If I wanted to invest in a fund or with a broker, I would want that fund manager or broker to be already obscenely successful from making huge profits investing their own money, not from fees. If they can make money for themselves, they can certainly make money for me. And, the more they have made for themselves, the more they can make from me. I certainly hope you agree here! As simple as it may be, you now know why very few professional investors consistently make money: It’s because they have not learned how to profits themselves, so they cannot make money for others. At the beginning of yet another year, you should resolve to only invest with those who can clearly prove to you that they have made consistent profits investing their own money, whether it be in stocks, bonds, or the third largest asset class in the world – real estate! As hard as it may be, you should not be wowed by great credentials, compelling investor decks and historical data or the smooth talk of someone clearly adept at parting you from your money. At the end of the day, and as crude as it may sound, the only thing that matters is not how impressive a person’s background is, but how impressive that person’s bank account is. It’s as simple as that! As history has proven, 96% of all actively managed funds fail to beat the indexes, which is why Vanguard has had over $400 billion of net asset inflows over the last 24 months. For 2016, the best New Year’s financial resolution you can make is to only invest with those that have a proven history of generating profits from their own capital, not generating fees from your capital. 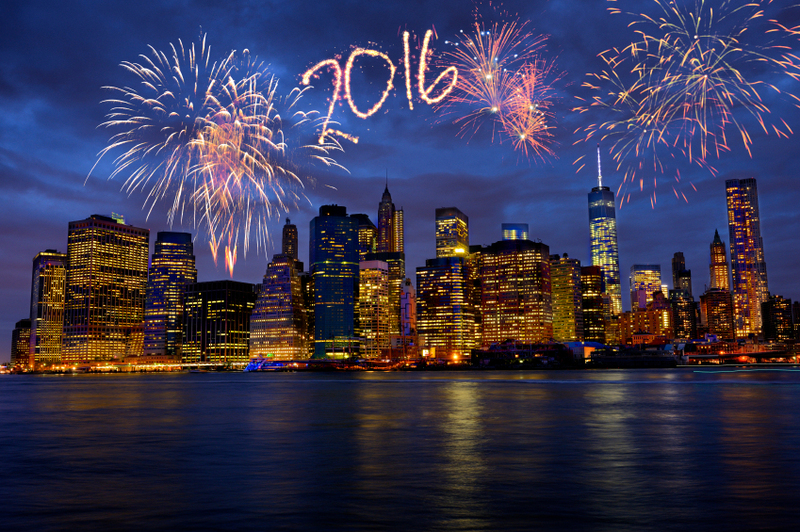 Wishing everyone a fabulous, prosperous and healthy 2016.